Lion 40-Inch Built-In Gas Grill – L90000 Stainless Steel Propane. 90814. Built-In Gas Grills. 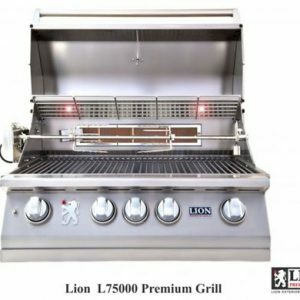 Lion demonstrates their gourmet grilling expertise with the L90000 propane gas grill. 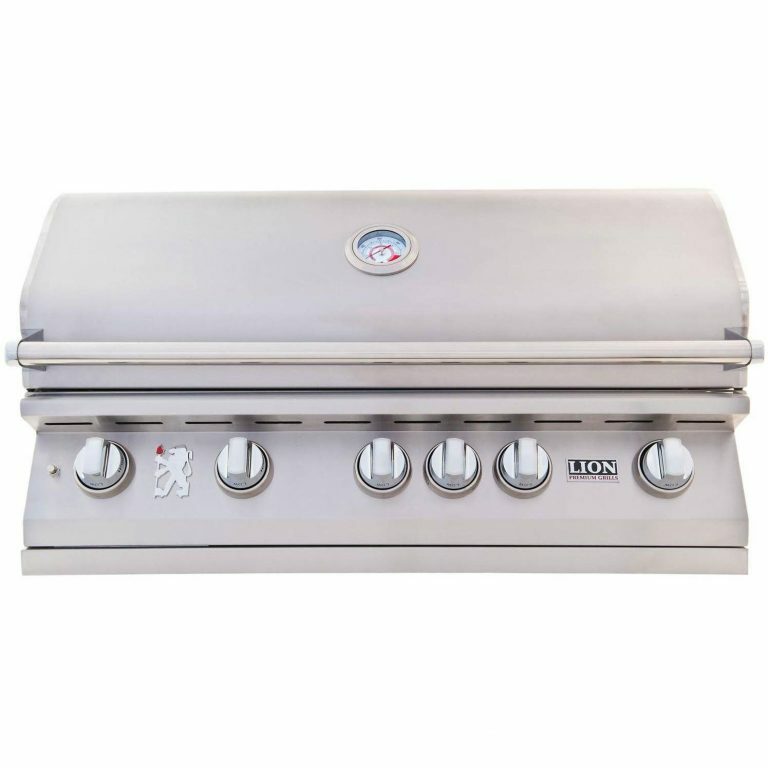 This stainless steel 40-inch BBQ grill has all the features and flare required to get your backyard barbecuing experience started. 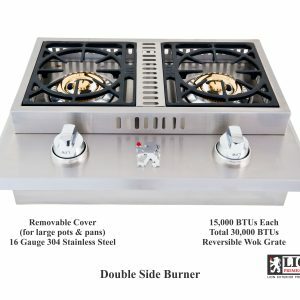 Six Lion Quick Lite valves ensure a fast, steady flame for grilling startup, and push-to-turn knob design simplifies operation. Commercial grade 304 stainless steel construction promises an unbreakable grill in your backyard. The double layer, seamless welded, stainless steel grill head with polished edges delivers durability to your grilling area. Five cast stainless steel burners push 75,000 BTUs of cooking power, and a 15,000 BTU infrared rotisserie back burner adds fuel to the fire! 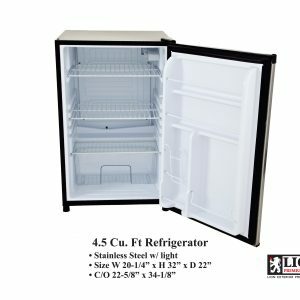 An XL commercial temperature gauge makes monitoring your meal simple, and the two interior lights illuminate the grilling area so you can enjoy your Lion grill late into the evening. Premium solid stainless steel cooking grates resist wear and tear, and provide 802 square inches of grilling space. Experience the benefits of a grilling gourmet package with the included rotisserie, cover, smoker box, griddle and griddle remover with bottle opener.